Adams Carpet Care has been providing Durham, Chapel Hill, Cary and Raleigh residents with home carpet cleaning services for the past 28 years. Ownership is represented at every job, large or small. We are proud of the reputation that we have earned as providing honest, dependable and quality carpet services at a fair price. As part of our focus on the customer, we use biodegradable cleaning products that are safe for children and pets in Raleigh and the surrounding areas. With over 28 years of experience in residential carpet services, hundreds of homeowners have already found Adams to be the home carpet cleaners of choice. Our reputation is above and beyond our competition. Our number one source of new business is through word-of-mouth and we pride ourselves on providing you with the same service we would expect in our own home, every time. Our hope is that after you experience your quality carpet cleaning, you will not hesitate to recommend us to your family and friends as their Raleigh home carpet cleaners. We are happy to provide a written estimate, free of charge, before scheduling a home cleaning. In addition, we are able to provide a telephone quote. If you schedule a cleaning based on a telephone quote, we will confirm the price upon arrival and if the scope of work is different from what was expected, we will explain why in detail. There is no obligation if you decline the new estimate. However, if the confirmed price is within the range given and you decline our services after scheduling an appointment, a trip charge will be imposed. This rarely happens but we believe in being fair to our commitments and our customers. Contact us for more information or a free quote. If the spots we’ve cleaned come back, so will we, at no charge. If your spots come back in 30 days, we will come back and re-clean the spots at no charge. 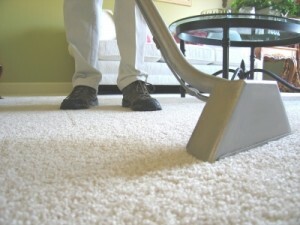 We stand behind our reputation of being a respected home carpet cleaners in Raleigh. We accept Cash, Checks, Mastercard, Visa & Discover credit cards. Copyright © 2019 Adams Carpet Care. All Rights Reserved.